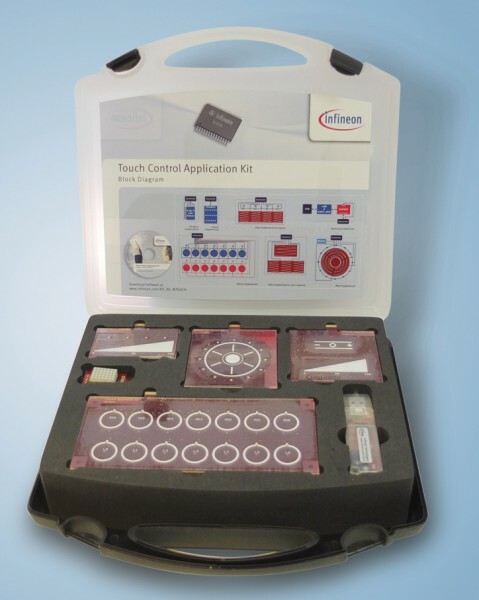 The inTouch Application Kit is a comprehensive set of hardware and software reference designs for touch sensing and LED display solutions with XC836T. The kit contains a motherboard, which is a USB stick, and 5 daughterboards to evaluate different applications. The motherboard is pre-loaded with an example application and a set of step-by-step training videos is available for easy understanding and quick learning.